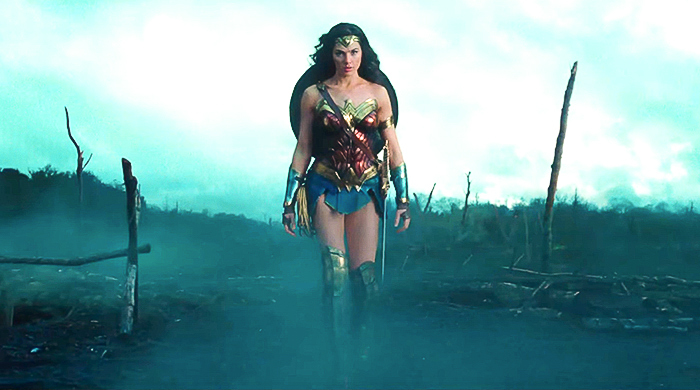 Whether the backlash to the perception of lack of marketing for 'Wonder Woman' played a part or not we may never know, but there has been a promotional blitz since last week culminating in a final trailer release on Sunday's MTV Movie & TV Awards broadcast that is appropriately epic and exciting. Amid think pieces about the supposed noticeable void of movie marketing for Warner Bros' upcoming superhero film, there has been about half a dozen trailers, a Chris Pine appearance on 'Saturday Night Live,' and Gal Gadot introducing the final trailer on MTV since last Wednesday alone. After numerous teases from trailers that added a little new footage at a time, the final one (see below) really puts it all together in a great symphony of action and humor providing more context and scope than before. Diana Prince is a force to be reckoned with as evidenced by her unyielding sense of justice that brings her to "man's world" to fight "The war to end all wars" with Steve Trevor. This trailer emphasized more of Dr. Poison (Elena Anaya) as the villain while still keeping a lid on Ares. WB has been able to advertise without giving away too much of the movie leaving plenty of spectacular moments that are awe-inspiring while also showing Diana's humanity and the film's sense of humor. Director Patty Jenkins has said she was inspired by Richard Donner's "Superman: The Movie" and that sense of hope and justice is reflected in Diana's dialogue. Diana Prince: I'm going mother. Queen Hippolyta: If you choose to leave you may never return. Diana Prince: Who will I be if stay? Wonder Woman also stars Connie Nielsen, Robin Wright, Danny Huston, Lucy Davis, Saïd Taghmaoui, Ewen Bremner, and David Thewlis. Wonder Woman opens in theaters June 2.